YWP has made a significant impact on the laws and policies that govern child welfare and is starting to make inroads in youth health, education, and employment. 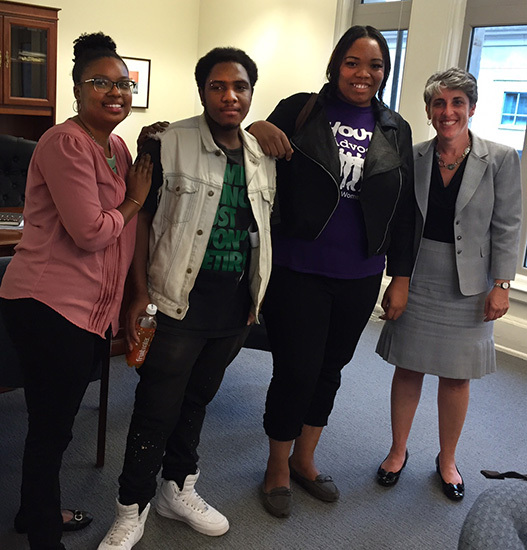 YWP youth staff continues to be a major force at DC Council oversight hearings and account for the vast majority of young people who come before the DC Council to testify on youth serving agencies – especially CFSA, DOES, and DOH. . If it was not for YWP and our youth advocacy programming, the oversight hearings for every youth serving agency would be significantly different. Shorter yes. But also missing the voice and experience of the youth consumers who use agency services.